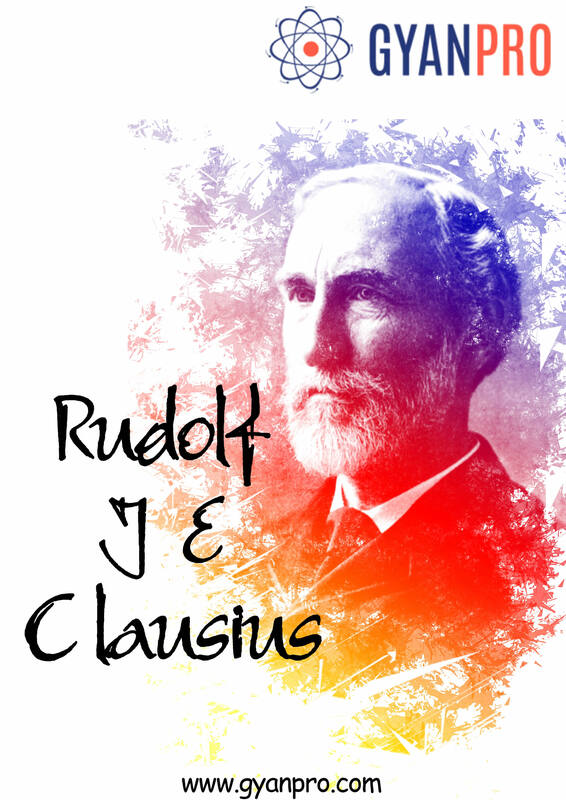 R. J. E. Clausius was born on Jan. 2, 1822, in Köslin, Pomerania. He was the sixth of 18 children of the councilor of the Royal Government School Board C. G. Clausius. He studied in his father’s schools throughout his childhood and graduated from the University of Berlin. He majored in Mathematics, Physics and History. He was famously an extremely sincere student and was well known for his ability to apply mathematical concepts to solve all problems. He got his doctorate on optical effects in the Earth’s atmosphere and explained the reason for the sky’s colour during sunset and sunrise. However, he would go on to be famous in the field of thermodynamics and is regarded as one of its founding fathers. He is famous for proving Carnots theorem on thermodynamics mathematically and for introducing the concept of entropy. There were many doubts regarding Carnot’s version of the first two laws of thermodynamics but Clausius removed them by redefining the statements and modelling them mathematically. He also introduced the virial theorem which speaks about the motion of molecules and their kinetic energy. Clausius was highly individualistic and did the majority of his work himself without collaborating with other scientists (especially from other nations) working on similar ideas. He was also different from other physicists concentrating on mathematical concepts to prove all concepts and theorizing about the particulate properties like absolute velocity of each molecule instead of treating considering all molecules en masse. This helped him introduce the concept of mean free path of a molecule. Clausius was also a German Nationalist and enrolled for army during the war against France under Otto Bismark. He helped in medical treatment of the soldiers but got wounded in his leg and was disabled for the rest of his life. He continued working on his research though the time he spent on it was significantly reduced when he had to bring up his 6 children on his own after his wife died during childbirth. He died in Bonn, Germany on August 24, 1888.